Ella Rhodes on a new report. A new report has found the majority of older drivers to be in favour of tighter rules on checking the health and suitability of over-70s to drive, even if those checks could take them off the road. The Institute of Advanced Motorists worked with University of Warwick academics Dr Carol Hawley (Warwick Medical School) and psychologist Professor Elizabeth Maylor to survey more than 2600 drivers and former drivers on their opinions, habits and motoring history. 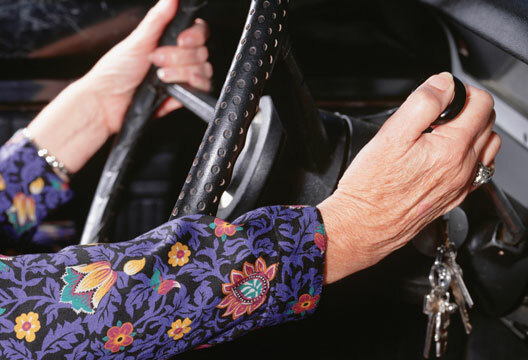 The Keeping Older Drivers Safe and Mobile survey and subsequent report, found over half of over-70s said they self-regulate to stay safe, by avoiding driving in challenging situations, such as busy traffic, after dark or in rush hour. While mature drivers travel significantly fewer miles than other age groups, 84 per cent of them rated their driving ability as ‘good to excellent’ and only 6 per cent had ever considered giving up driving. Hawley worked with Maylor for access to the Warwick University research volunteer panel, which provided nearly all of the respondents. Of those questioned 94 per cent agreed that GPs should be required to inform patients if their medical condition may affect their fitness to drive, and half agreed that a flexible licensing system should be introduced that could restrict types of roads and conditions for some older drivers. Respondents wanted certain rules to extend further than older drivers – 84 per cent agreed that all drivers should pass an eyesight test every 10 years after first passing, regardless of their age. Researchers also found 82 per cent said that driving was very or extremely important to them, a figure that increases for women. Independence and convenience were cited as the main reasons for wanting to continue driving.